Lund's Heavy Duty Storage Bag is designed to withstand all types of weather conditions and road grime. 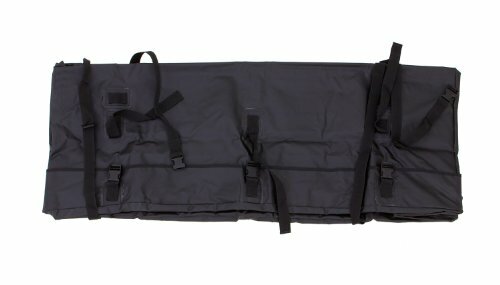 This bag is 18"x 60"x 18" and will work with both stationary and folding carriers and can be secured with durable polypropylene straps to keep your cargo snuggly in place. The bag features heat-sealed seams and reinforced zipper flaps to protect cargo from all types of moisture.